I have pretty much been running on and off my whole life. As of late, I have struggled a lot due to workload issues to find the time to do as much as I would like and an old injury with a bit of osteoarthritis now. I do plan on getting back and running another marathon within the next few years if I can, but let’s just wait and see. I have had a lot to say about running (I obviously have a blog on running) and running shoes are no exception. Usually, I have run in what is the most traditional running shoe of the time. Lately, I have been mixing it up. The evidence does support having more than one different shoe in the rotation to mix things up to load different tissues differently. This does seem to have a protective effect for injury. Recently I have tried a couple of unusual shoes and am aware of another in the mix. 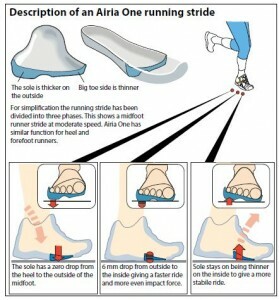 I do some of my runs in the Airia One’s and have blogged about them. This is a shoe with a lateral slant in the forefoot, zero drop and a large toe spring. It certainly makes you run differently and use a different set of tissues. I also recently got a pair of Enko’s which is spring loaded in the heel. Running in them is certainly a very different experience. 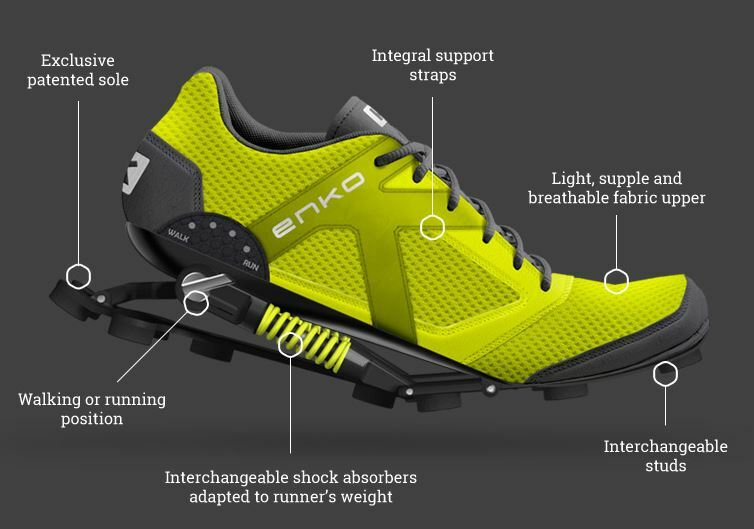 I see a lot of anecdotes from people who had to give up running, now able to run because of these shoes. What I find intriguing in social media about these is the number of negative comments from those who have not tried them … go figure that one out. The third shoe in the mix is the Ampla which has a spring loaded plate on the forefoot to help encourage you to run on the forefoot rather than heel strike. It came on to the market at a time that all the rhetoric and propaganda was that heel striking is evil and everyone should be forefoot striking. Turns out all that rhetoric and propaganda was wrong, but that has never stopped people in the past. One thing I do find interesting about these “tech” shoes is the criticism of them in social media from those who have not even seen them, let alone tried them. Mix it up. I do. The evidence supports that.